Whatever your accommodation needs, our 'Accommodation Online' service will help you. 'Accommodation Online' provides online availability and instant confirmation reservations for a range accommodation from luxury hotels, exclusive sporting retreats and resorts, bed and breakfasts guesthouses, inns, motels with self-catering facilities, serviced apartments and backpacker hostels plus known hotel chains like Accor (Ibis, Novotel and Mecure), Quest Apartments, Kingsgate, Copthorne, Millennium, Comfort Inns/Hotels, etc through out New Zealand. Accommodation options range from clean, pleasant rooms in country pubs to stylish city boutique hotels and exclusive resorts in hideaway locations. 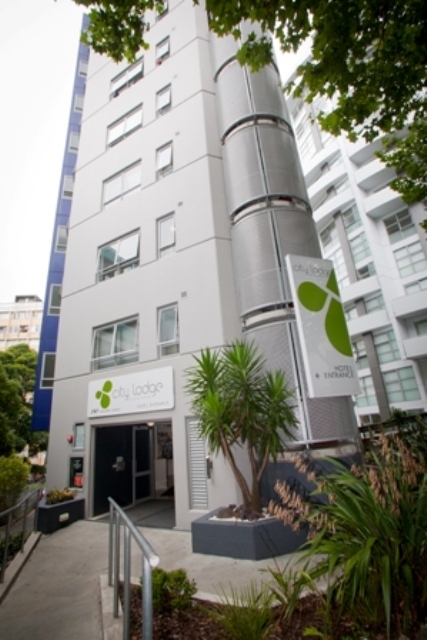 Hotels of world-class standard are found in major cities as well as leading provincial and resort areas throughout New Zealand. Most accommodation with the exception of motels, have a bar and restaurant facilities and the rooms include a phone, TV, bathroom and usually tea and coffee-making facilities. Country hotel accommodation and pubs are sometimes in modernised historic buildings, while sporting lodges and up market resorts offer exclusive locations with top-class facilities. For the budget conscious, there is a range of quality camping ground accommodation, traditional and up market backpacker Hostels (like YHA/HI, Nomads, Base Backpackers) offering dorm, shared and private ensuite rooms to affordable self catering serviced apartments and hotels. 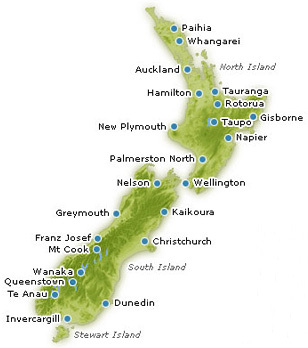 There is a range of Bed and Breakfast accommodation ranging from boutique Inns and Lodges, to small affordable guesthouses, to homestay and farmstay accommodation to give the traveler opportunity to experience 'Kiwi' hospitality or farmstay accommodation where you are staying on a fully operational farm. You can book accommodation that is within short walking distance to long distance coach terminals in Auckland, Hamilton, Paihia, Rotorua, Wellington, Nelson, Christchurch and Queenstown and near Franz Josef and Fox Glacier coach stops and near Christchurch Railway Station for the TranzAlpine train services to and from Christchurch.